"Though Esquerita may be a footnote in Rock'n'Roll history, it's one written in shocking pink day-glo." (Rick' Coleman, Wavelength Magazine). It's a pretty well accepted rule of thumb in Rock'n’Roll circles that anything Esquerita cut alter his parade of manic Capitol records doesn't amount to a cheap rhinestone on the Voola's patented sunglasses. That's a diggable standard when you consider just what Esquerita did at Capitol, takin’ Little Richard's 'Slippin' And Slidin’' blowout and xing it to the 10th power ‘til the resultant records - 'Rockin' The Joint', 'Hole In My Heart', and especially 'Esquerita And The Voola' - all sounded like they were cut on Mars. In fact, New Orleans disc jockey and longtime Esquerita supporter Billy Delle called the 'Voola' 45 "raw jungle music" and said when you blasted it, "man, you had to look behind you to see if anybody was coming chucking spears at you!" Yes Sir, the rep that hangs on those Capitol platters is a valid one and it's no wonder that fans of flat out abandon accept no substitute. I've gathered up the marbles on the Esq’s life story twice before, in KICKS Magazine and on the VINTAGE VOOLA collection and there's no need to run it down again, but we should get some focus how these toons fall into the whole Esquerita rodeo. We gotta first focus on Esquerita's departure/dumping from Capitol in ‘59. The keen eyes of Big Joe Turner spotted his atomic stage show and gave the Voola a second shot at blastin' off, this time in New Orleans. For the next couple of years, the lunacy never let up. Billy Delle recalls: "He used to play a place called 'The Baby Grand', but mostly at the 'Safari Room' with Irma (Thomas), (Ernie) K-Doe, (Benny) Spellman - all the Minit artists. 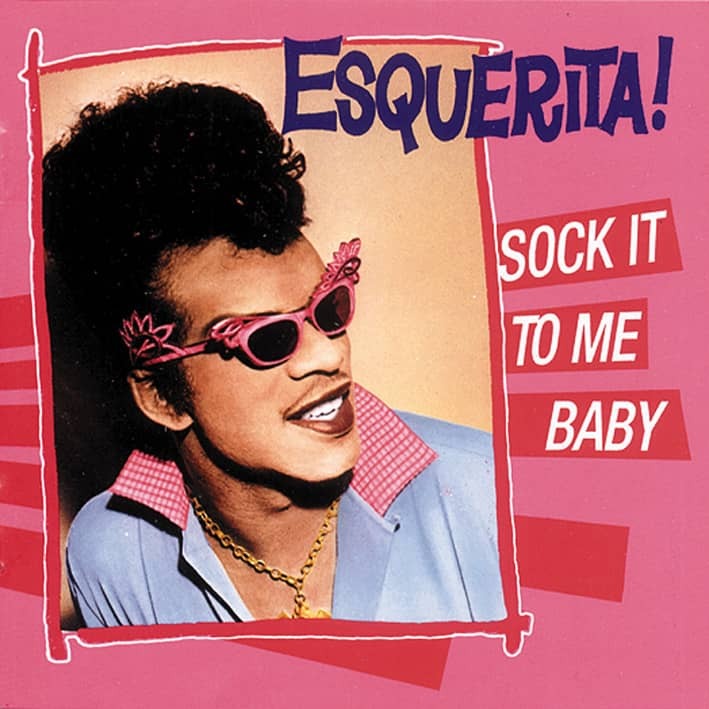 Little Richard was more polished, I think, than Esquerita. 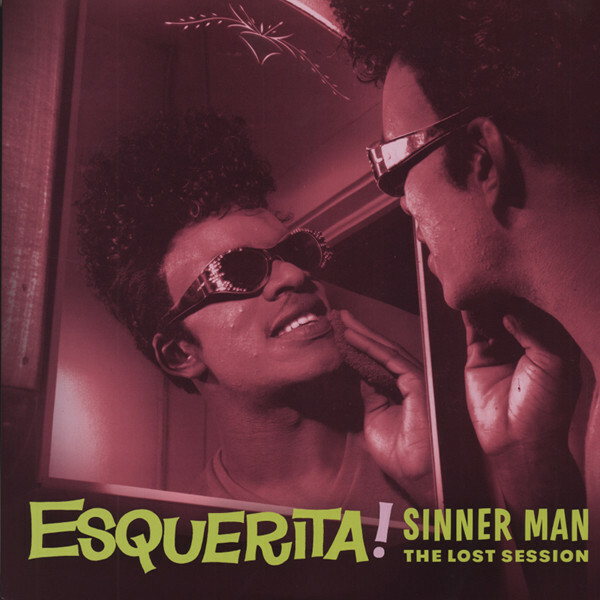 Esquerita had that raw energy, but he catered more to the crowd, something like Snooks Eaglin. And the more the audience started cheering him on and egging him on, the wilder that son of a gun got. He had the high pomaded hair, almost like straight up with a little wave. He had all kinds of wild sunglasses, wild clothes, baggy pants. He used to like to play that plink-plink type of sound, the real high keys more than anything else. When you'd say you were going to see Esquerita there would be a lot of people who would want to go, because they knew they were in for a show. The parking lot at the old 'Safari Room' used to be packed, boy." It woulda sewed us Rock'n'Roll fans well if that raw energy Delle talked about made itself well on vinyl again, but from Esquerita's first post-Capitol side, 'Green Door' on Minit, the results were alarmingly tame. Despite the \/oola's outwardly wild, almost insane personality, his ‘60s records belie the true Esquerita craziness. Still, wherever the action was, he seemed to always get a toot in the door. An early Joe Jones sponsored Detroit jam session for Berry Gordy saw the Voola along with the crescent city's finest talent light the torch that’d keep the charts at lame for years with Motown hits. "That's when the Gordy sound changed", claimed Esq. "They were nowhere near our sound, that funky boomin' stuff we brought up from New Orleans. After they heard us...“ Gordy gave the tapes to their writers and said, "THIS is the sound for Motown!" Unrewarded in this, as with most of his ‘60s ventures, Esquerita's premier meal ticket came from patting around with the guy he both greatly inspired and liberally swiped from. Little Richard and the Voola's stamp was pounded onto the Georgia Peach’s Brunswick, Okeh and Reprise sides. Through all of these behind the scenes shenanigans, the Voola label-hopped, tryin’ to get somethin’ goin’ tor himself. Ok, now the selections on this disc come from a totally unissued 1965 session cut under the guiding hand of former Atlantic records bigwig Herb Abramson. Esquerita, as always, traveled first class across the ivories, and Abramson landed a bonus in the fact that the Voola’s ready-to-go- any-sec voice was in full bodied form. The finished complete band tapes would have been hoisted up the flagpole by Triumph Records under the savory banner of Esquerita & The Morticians, but nothing got beyond the stage of Esq. bangin' 'n‘ howlin' with occasional background warbling and some now-and-then percussion. Customer evaluation for "Sinner Man - The Lost Session"